We all have ideas what a powerful and durable character should be, and with the multitude of stats, trinkets, skills and weapons available, it can be a bit overwhelming. For me, the ideal set up is to be able to do long ranged attacks and still be able to adequately fend off the baddies up close, instead of just focusing on long range damage or up close attacks alone. This will really help you in places like the Arena where your goal is to survive for as long as you can. 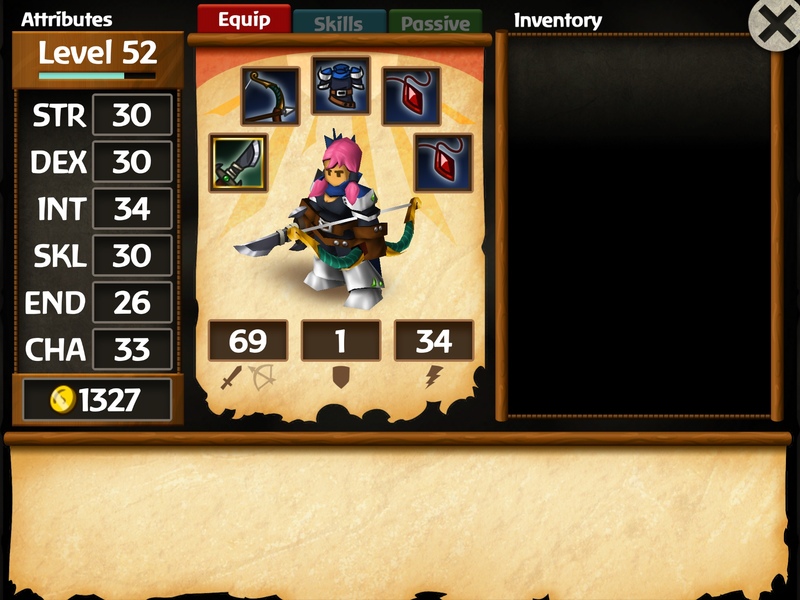 The beauty of Battleheart Legacy is that you can mix and match skills to your liking that will let you do both. Here are some tips, tricks and strategies to help you out. 1. Make sure you unlock all the playable characters by performing quests. Help them, try not to kill them, and in some cases, ask for something in return. I learned this the hard way when I helped Eliza, a member of the ninja clan, early on but failed to unlock the ninja class because I didn't ask for something in return (which is for her to teach me). Don't get on the bad side of some of the characters like the Witch. As for the monk class, you will only be able to learn the skills if you purchase fist weapons. 2. If you want to learn and unlock nearly all of the skills available in half the time, focus on leveling up the Bard until you unlock the Generalist skill. 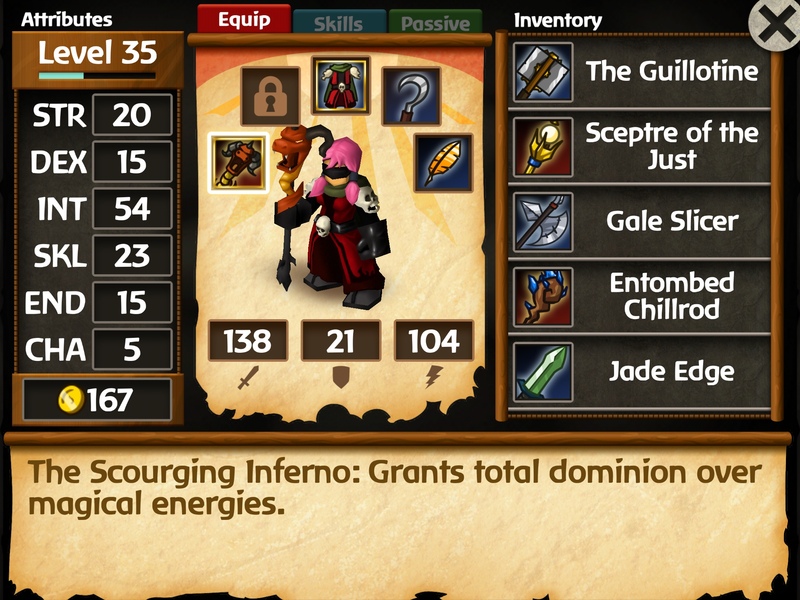 Once you have the Generalist skill, you will get a 30% discount on the necessary stats to unlock the other skills. Of course, focusing solely on the Bard won't be easy because you need to be powerful enough to level up. Which brings me to my next tip. 3. If you must grind or repeat a particular level in order to earn as many hit points as possible, choose a low-level boss (one that you can confidently beat again and again) and arm yourself with XP-boosting trinkets. 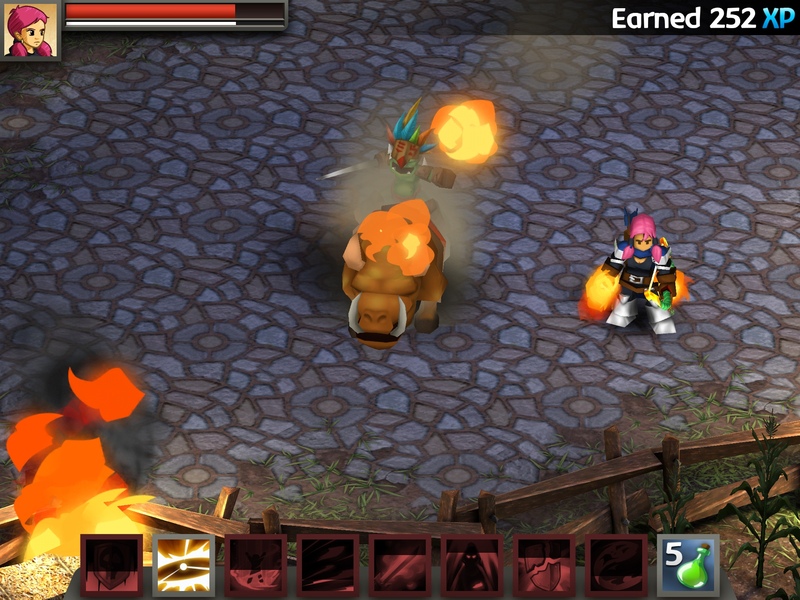 In Ominous Pasture, for example, you can earn quite a bit of XP and the boss is one of the easiest to deal with. 4. Don't go into a dungeon that requires the same level as what your level is. Despite the recommended level for each location, you need to be several notches higher or have better weapons and armor to survive. Each time you lose, you lose gold in the process. 5. Use life-draining trinkets as an alternative to the Aura of Light skill (paladdin). I recommend Choker of the Red Feast which offers 10% life drain. Arm yourself with two of these and if your level is high enough, you won't need the Aura of Light for very long. 6. When dealing with fast-moving bosses, the trick is to get out of the way before they do their big hit. For the final boss, your clue is when he starts charging his powers and a colored circle appears. If you are inside that circle, you are doomed. 7. 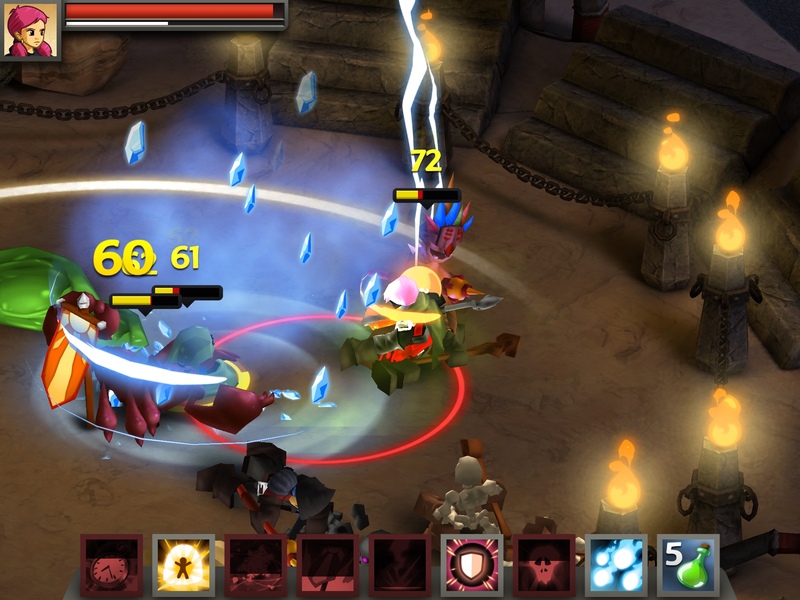 Instead of the Teleport skill of the wizard which is only good for five (5) moves, try the Silent Assassin passive skill of the rogue instead which lets you teleport to the next enemy after killing off another one. 8. If you are a heavy spell user such as Battlemage, Wizard, Witch or Necromancer, use the Aegis of the battlemage as your shield which expands the damage you can take up to 5 times your spell power. 9. To survive hordes of baddies attacking you at once, consider equipping the Revenge skill of the knight which enables your enemies that hit you to take damage instead. Revenge will eliminate many, if not most of them since the damage they take depends on how intense the attack on you is. 10. 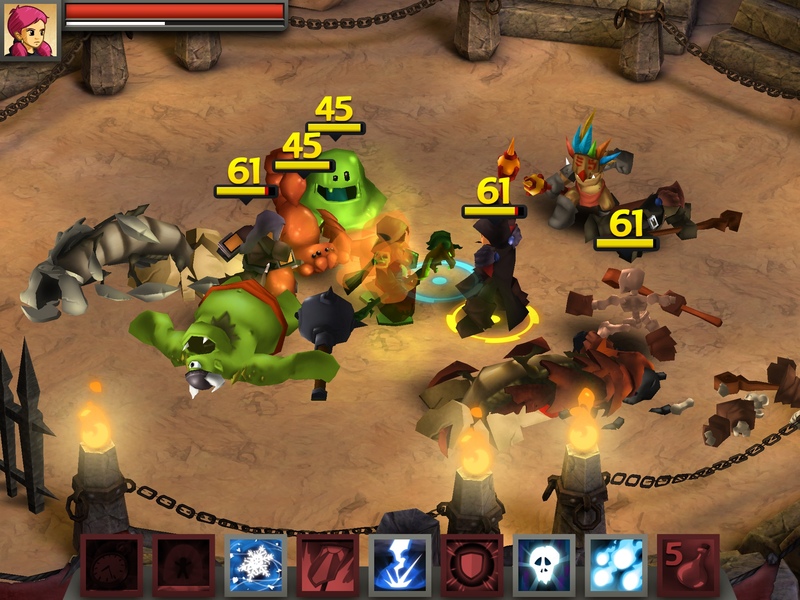 For some bosses, summoning a mummy (necromancer) is useful because it diverts their attention to the mummy. 11. For continuous damage against bosses, you can try the Withering skill of the necromancer which poisons your bosses even when they vanish from view and reappear. Continuously reapply the Withering skill while you attack. 12. Critical strike seems to be more important than weapon strength since it greatly multiplies the damage you deal. Arm yourself with trinkets and passive skills that boost critical strike and use the knight's Victory Banner to increase your chances of a critical hit on the battlefield. 13. The bard's Song of Inspiration (which resets the cooldown on all your special skills) takes too long to recharge. 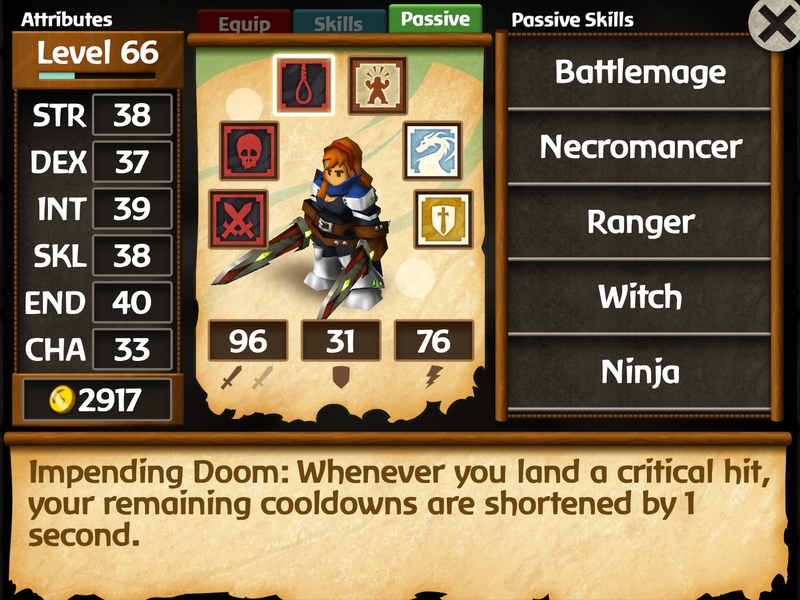 As an alternative, consider equipping the Impending Doom passive skill of the ninja which resets your cooldowns to 1 sec if you do a critical strike. 14. 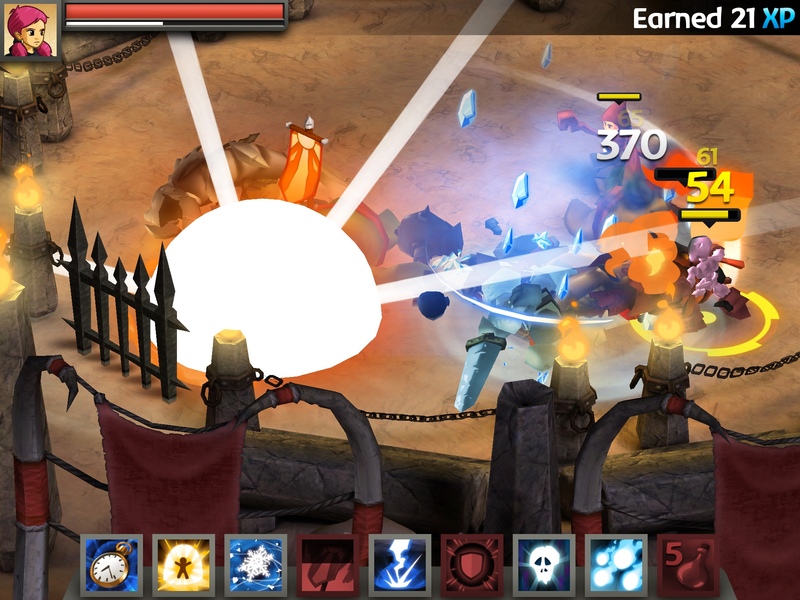 Have a knockdown skill ready – you can choose between Radiance, Ki Blast, Thunderbolt, etc. to keep waves of enemies from getting to you. 15. For bosses, use skills that boost your damage dealt – try Blood Magic of the witch (take note that it takes away 20% of your health), Song of War, and passive skills. 16. The battlemage skills, particularly Flame, Thunder and Arctic Knife together with Mana Strike are incredibly handy if you intend to use weapons (arrows, knives, daggers, swords, fists, etc.) instead of a magic staff. If you use at least two of the knives, using one after another will reset the cooldown on Mana Strike. This means you can use at least 2 different skills right away. 17. If you want to free up skill slots that would otherwise go to the battlemage's special skills, keep the Flame knife because it increases the chance of a critical hit. 18. I've found the Time Stop skill of the wizard to be incrediblyl useful when dealing with waves of enemies when playing as mainly a wizard. Pair it with the Coup De Grace skill of the rogue which increases damage dealt to stunned and helpless enemies and you're good to go. Actually you should pair Coup De Grace in general with skills that knock down lots of enemies. 19. Use skills such as Horror, Intimidate, Mass Hysteria and the like to distract enemies. Charm is also a good skill to work with in the early levels when you're too weak to take on some enemies. Don't bother using these on some bosses; most of the time, these only work on the minions. 20. Go to the Arena and score at least 80 kills to get Legendary items (you can tell by the gold border) which are the most powerful in the game. Of course, hitting 80 means you won't always get Legendary items, so it's better to aim for 100+ every time. 21. When it comes to armor, if you are using magic, especially battlemage skills, it's best to get one that will increase your spell power. Other armor increase weapon power or your shield but tend to bring down the spell magic factor. If you plan to use a lot of magic and spells, choose the one that boosts your spell power. In addition, you can also try the Grit passive skill of the Knight to increase your weapon damage based on your endurance stats, as well as other similar passive skills. Enjoy! I hope it works for you. If you have additional comments/suggestions/tips, please leave a message. Would love to learn your strategies, too!